*Please note that there are discounted tickets available for ODBA Friday Night at the Theater:“Ma Rainey’s Black Bottom” starring Honorable William T. Newman. After registering here, secure your ticket by purchasing from A La Carte registration. 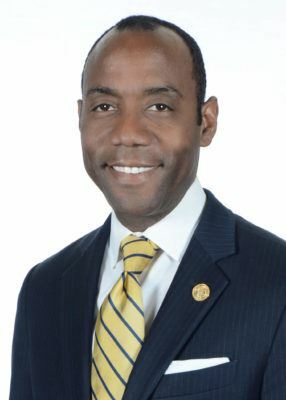 Old Dominion Bar Association is pleased to announce that NAACP President and CEO Cornell William Brooks will deliver a keynote address at the 2017 ODBA Annual Conference Banquet Dinner on Saturday, June 3, 2017. Register now for the conference and reserve your hotel room before the room block ends. Friday, June 2nd - 8:00 p.m.
1st Stage Theatre, 1524 Spring Hill Rd, McLean, VA 22102. Starring ODBA’s own William T. Newman, Chief Judge of the Arlington County Circuit Court. Reception with the cast and crew to follow. The first 10 registered ODBA conference attendees will receive two free tickets each. (Additional tickets available for $16). For more information, contact ODBAAnnualConference@gmail.com.